Saving costs and improved production efficiencies are possible by opting for a pharmaceutical weight sorter that is fully flexible and able to handle a variety of product shapes and sizes without modification or changing parts. Such flexibility is now available even for small scale production facilities. The SADE SP140 from CI Precision is a highly accurate, easy to operate and fully flexible dosage weight sorter for use in smaller-scale production environments. Featuring a single 60l hopper for bulk operations at up to 4,500 units per hour and an easy-to-use operator interface, the SADE SP140 is accurate to within +/- 1mg. 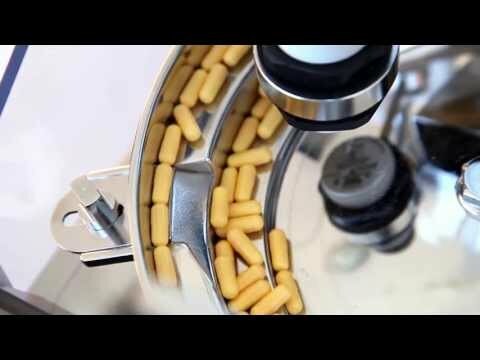 Designed with flexibility in mind, the SADE SP140 can handle a wide range of tablets and capsules, switching between them with no requirement for changing physical parts to accommodate different dose types. The SADE is able to weigh tablets up to 20mm x 24mm, and capsules from 5 through to 00 size (larger sizes may be accommodated). The machine is also able to be quickly and easily dismantled for cleaning and sanitizing. The unit has the ability to reclaim “good” product from a weight-rejected batch, saving valuable product and producing less waste. The unit records all sort operations and can print reports direct to a printer or send to a PC.